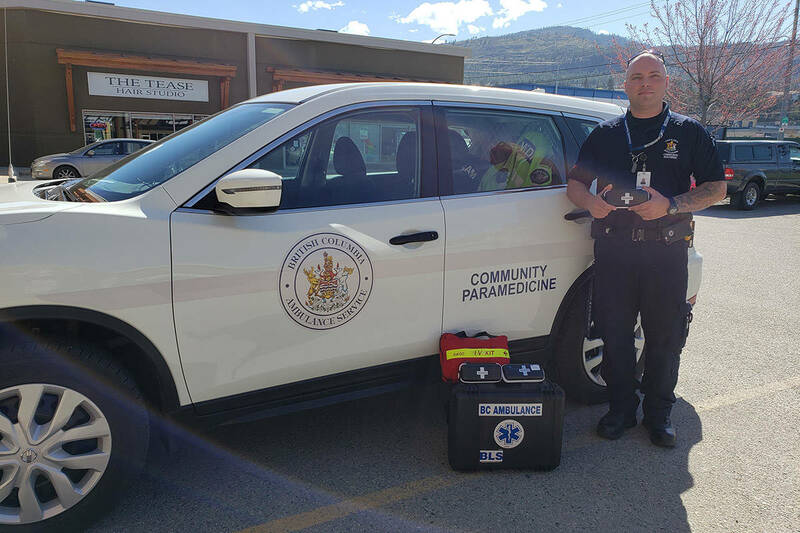 After four years, Osoyoos Const. Amit Goyal has been cleared by the RCMP of all allegations of misconduct. Dec. 20, 2016 6:00 p.m. The RCMP is withdrawing allegations of misconduct against Osoyoos Const. Amit Goyal. Goyal, who has been on paid leave since the allegations arose in late 2012, has been cleared of three allegations of disgraceful or disorderly acts or conduct that could bring discredit to the force and two allegations of making false, misleading or inaccurate statements to a superior officer pertaining to an investigation. A statement was released by RCMP Deputy Commr. Craig Callens on Dec. 20 after the conclusion of the disciplinary hearing. The RCMP stated that given Goyal’s prolonged absence from the workplace, efforts will now focus on ensuring he meets the required standards and training prior to his return to duty. Lawyer Paul Evans represents former Osoyoos man Steve Condon, who filed a lawsuit against Goyal, the Town of Osoyoos, the RCMP and the Province of B.C. in relation to the former allegations against Goyal. “I think we’ll have to consider what’s happened with the discipline process and try to find out the information that led to that decision not to proceed with the disciplinary hearing. Make a decision about what, if any, portions of the lawsuit we want to proceed with,” Evans said. Through processes of disclosure through civil court, Evans said it may be possible to find out what the exonerating evidence is. Condon said he had to leave Osoyoos in 2012 due to what he claimed was a wrongful arrest, slander and infliction of emotional and psychological harm caused by Goyal. In a statement of claim filed June 2, 2015 in New Westminster Supreme Court, Condon alleged Goyal harassed him on multiple occasions and framed him for the theft and arson of two vehicles. Those documents also briefly outlined an investigation by the Trail RCMP detachment who were assigned to investigate the matter. Callens also noted in his statement the legislative changes made to the RCMP Act in 2014, which contain new processes for how misconduct is handled internally. “The new conduct process allows misconduct to be addressed in a more responsive, timely and effective manner, and at the lowest appropriate level of authority. Emphasis is also placed on identifying remedial, corrective and educative solutions, rather than being limited to applying punitive sanctions,” Callens said.